Are the Avengers Going to Wear These White Uniform Suits in 'Avengers 4'? 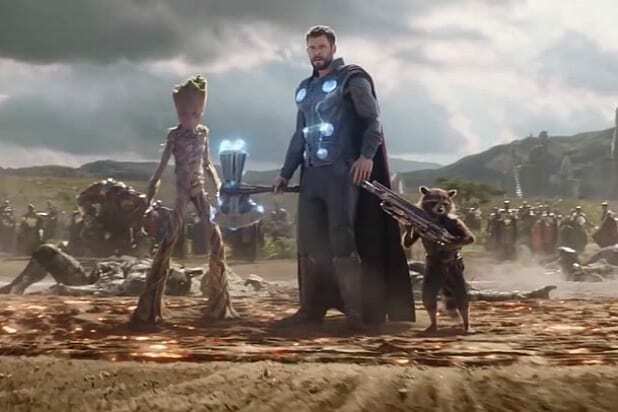 We don’t officially know all that much about “Avengers 4” just yet — we don’t even have a title! — but we’re reaching the stage where leaks are going to start popping up fairly regularly, as well as fake leaks either by folks looking to get internet famous for a brief moment or folks at Marvel trying to provide some misdirection. What we’re about to discuss is either real or fake or somewhere in between, but it’s too intriguing to ignore. So let’s take a look! 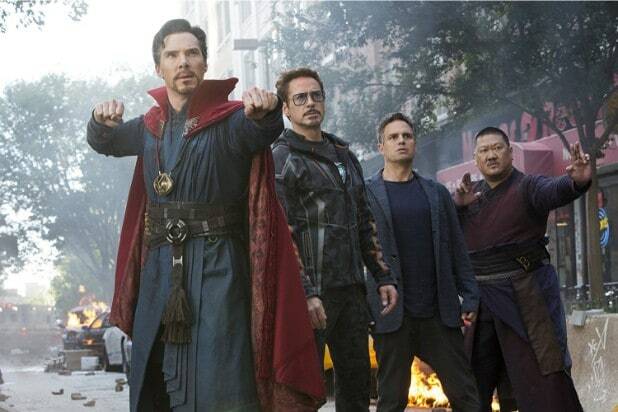 Now, the Avengers have never had a uniform in the Marvel Cinematic Universe before, so this is immediately curious on those grounds. It’s also true that action figures often feature heroes wearing outfits they don’t wear in the movies they tie into (e.g. “battle suits”). But there is reason to believe this leak is more substantial than it may initially seem to skeptics. The figure has a different suit, but the art on the packaging is actual key art for the movie. Because when the packaging includes a picture of the actual actor who plays the part, it’s usually legitimate promotional art for the movie and not just a fun real-life rendering of the figure. There are exceptions, of course. 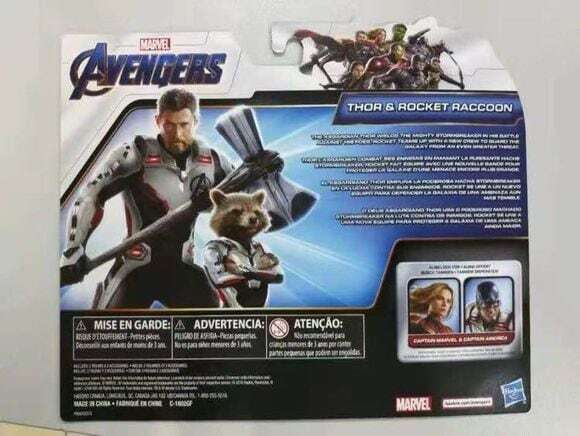 But what I’m getting at is that if that box art is real, then that would mean there’s a solid chance that Thor and Rocket do wear that outfit in the movie. There is another reason they potentially might need special suits: if they have to go into the Quantum Realm. 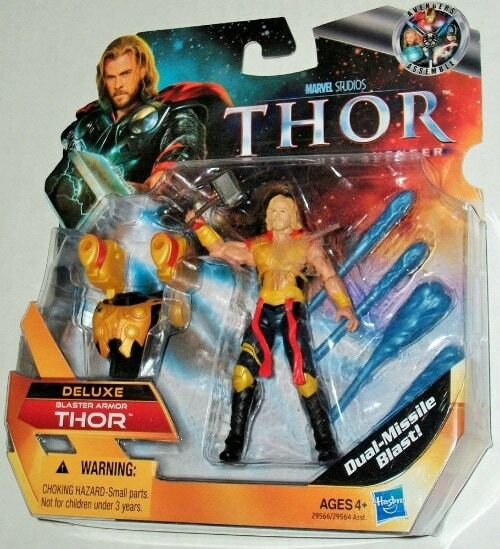 If you can’t make out what the text on the box says, by the way, it goes like this: “The Asgardian Thor wields the mighty Stormbreaker in his battle against his foes. Rocket teams up with a new crew to guard the galaxy against an even greater threat.” Nothing particularly illuminating there: With the Guardians of the Galaxy all dead aside from Rocket, of course, he has to find new people to hang out with. But is that “even greater threat” teasing a new villain in “Avengers 4”? Take all this with a grain of salt, of course. But I think there’s enough here to think that these suits could be a thing. Could be. We’ll find out for sure, at the latest, on May 3 of next year, when the movie hits theaters worldwide.